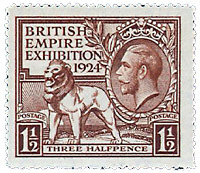 The Imperial aspect of the Scout Movement was demonstrated during the British Empire Exhibition at Wembley in 1924. 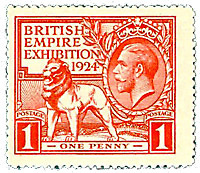 In deciding to hold a great Jamboree at Wembley, Baden-Powell considered that the meeting would help the Scouts of the Empire to get together and compare notes, that it would develop good-will in the rising generation of the States of the British Commonwealth, and that it would show the world the methods by which Scouting developed character and intelligence, handicrafts and skill, health and service for others. Thousands of Overseas Scouts were present, and many more came from all parts of the British Isles. The organization of rail and road transport, camp routine, and sanitation, all worked out by Commissioners, Scouters, and co-opted officials, on a voluntary and honorary basis, ran with a smoothness which was then astonishing, but has since become commonplace in the great Scout rallies. The Scouts were received at the Wembley stations from 3 A.M. until late at night and were fed and sheltered, as they arrived, with the regularity of a machine. The camp in Wembley Paddocks extended over forty acres, and was like a town, divided into sections or wards, with street and tent names— "Mafeking Lane" "Princes Street," "The Merry Mudlarks," the last being a very appropriate title, for the Overseas Scouts saw something of English rain and mud I The camp contained a post office, bank, a quartermasters’ department for the issue of tent-equipment and valises, reception departments, lost-property office, a stores to provide everything a Scout might need, from a new kit to needle and cotton, and an administrative office which was on duty incessantly day and night during the ten days of the Jamboree. The greatest number of Scouts in camp together was 12,461; 75,000 gallons of water, 6,000 loaves, and 250 pounds of tea were used daily. The Scouts handled transport and administration, but the catering was wisely left to Messrs Lyons, who fed, on the average, about 12,500 boys daily at the charge of 3s.4d, a day per head. Twelve great marquees arose, two miles of iron piping and two great boilers appeared, for providing steam for cooking and cleaning some 70,000 plates, 1,000 dishes, and 1,500 baking-tins each day. For each lunch 500 yards of suet roll were cooked! Messrs Lyons provided packed luncheons for Scouts who were going sight-seeing, as Baden-Powell was anxious for the Overseas Scouts to see as much as possible of England. The public were shown Scout methods of first aid, gymnastics, athletics, life-saving, hygiene, and pioneering. The whole organization of the Jamboree was in itself an object lesson in Scout service for others. All the displays were well attended, but the largest audience arrived for the Wolf Cubs’ performance. Akela, the Old Wolf, from the Council Rock in the centre of the Stadium, summoned the Pack, which stalked a deer in the jungle. Then Mowgli, the boy, was chased by Shere Khan, the tiger, and was rescued by Baloo, the bear, and Bagheera, the panther. Playing with Baloo and Bagheera, Mowgli was next attacked by monkeys, but was rescued by Kaa, the snake. This snake was an enormous reptile, composed of a cardboard head and a hundred yards of body made up of Wolf Cubs. It swallowed the monkeys, curled up, and went to sleep. This performance was given by London Wolf Cubs, and was followed by all the Cubs, 7,000 in number, concentrating in a great circle in the arena, where they sat down and gave the Grand Howl. "Akela, we’ll do our best." "Dyb, Dyb, Dyb, Dyb (Do your best)," came the high-pitched cry of the leading Sixer. "We’ll Dob, Dob, Dob, Dob (do our best)," . . . rejoined 7,000 voices. When I have been asked what impressed me most about the Jamboree I have been able honestly to say it was not the pageantry, it was not the fine appearance of the boys nor their numbers and efficiency—it was the fact that discipline from within showed itself to be an established force among them, and that they have a true grasp of the ideals of the movement. the host of the Imperial Jamboree. The Boy Scouts Imperial Jamboree 1924. Held in conjunction with the British Empire Exhibition at Wembley, the Jamboree brought together over 12,000 Scouts from the Commonwealth. The Boy Scouts Imperial Jamboree Souvenir Volume was published the Boy Scouts Association in 1924 as a remembrance of this unique event.